Earth Empires is a free browser based strategy game where you take control of your nation's military and economy. Command your country's military to attack and defend against your enemies. Execute attack strategies to relieve opponents of their resources and land. Strategically invest in technology to outpace the economies of other countries. Ally with your friends or make new friendships by joining a clan. 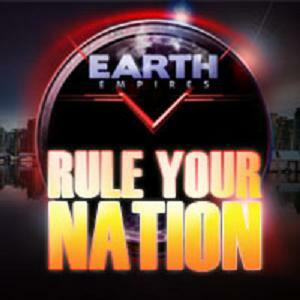 Conduct military operations, govern your country and build your empire. Continuing the legacy of Earth:2025 - one of the first massive multiplayer browser games - Earth Empires brings a fresh new spin to a classic style of gaming. They say beer will make me dumb. It are go good with pizza. Together with SOLxLI we fight a fair war. I hope new players will join us. I wish all the Earth players a Merry Cristmas! Why do you discuss over broken English. It is better to answer the question about the clans. Why do we not make a peaceagreement after a tagkill. It give the game more fun and you need lesser bots in the game. Is that a haiku or broken English? Or both, perhaps? The game has improved only because of the bots in play. I take it you would have preferred me saying a player base with the brain and compassion God gave a billy goat? After looking at Jacob's post below once daily for what seems like eternity now, I finally broke down and made an account to ask this one simple question: "ewwwww game and people"???? Who the hell says "ewwww game"?? ewwwww game and people they seem to only attack others without reason they attacked me just because they thought someone else!!!! Great game, was weird at first though. If you plan to play in Earth Empires Free For All, join the alliance at the link provided below. Help the underdogs! its rocks! Can be played in symbian s40 mobile! ...such as agriculture, technology, industry, and income tax revenues. The game resets every couple months on the Primary Server (Solo play) so everyone starts off with a clean slate. You can perform military operations against other countries and take their resources, and have the same done to you. Its very fast paced, and requires a methodical approach. I can\\\'t praise this game enough. Its endured for 15 years now for a reason.